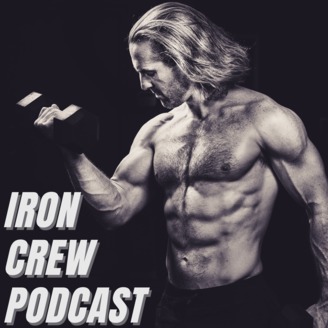 A comical, insightful, and real discussion of all things health and wellness related with the creator of Iron Crew Athletics. Nothing is off limits with Danny Burde behind the microphone as he discusses fitness, nutrition, parenting, wellness, relationships, and psychology. Danny gets a chance to sit down with movement specialist, gymnastics guru, and communication expert, Carl Paoli! Danny and Carl talk all things human movement, how to own your actions, and what makes Carl so great as an “in person” speaker. 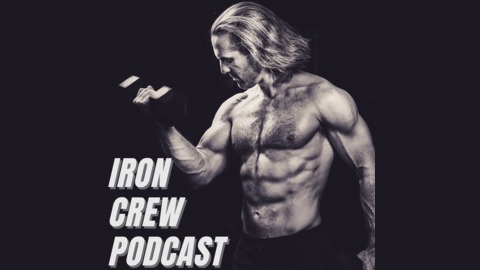 Carl also shares some funny stories about his previous modeling career, why he started making YouTube videos, and how he became the go-to gymnastics source for CrossFit. Before their conversation, Danny talks about his week, full of funny stories about how his son’s school photo makes him look like a serial killer, his reference to using a flogger on Shannon (in the bedroom, of course), and what the heck does “on one” mean? He also shares how he and Shannon tapped into their inner Marie Kondo as they begin their de-clutter journey. Then, Danny answers a listener question: What causes nausea after a difficult workout? Here is where you can find each segment in case you want to skip around. Enjoy! 14:25 - Kingsfield Fitness Vibrating Foam Roller now 20% off! 15:38 - Listener Question: What causes the feeling of nausea during/after a workout? 22:58 - Rubel Roasting Coffee - The freshest coffee in the world! If you like fresh coffee, use “ironcrew” at check out for 10% off Rubel Roasting Coffee. Go to rubelroasting.com/coffee to order now! If exercise and mobility are important to you, use “ironcrew” at check out for 20% off a Kingsfield Fitness Vibrating Foam Roller. Go to kingsfieldfitness.com to order now! Remember to subscribe to this podcast, leave a rating, and a review! Also check out my other platforms!